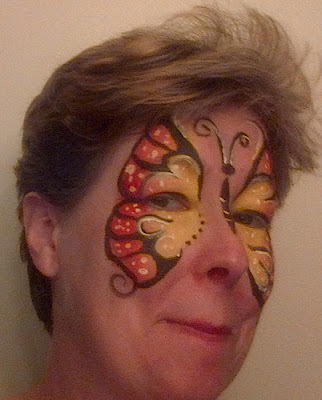 I have recently discovered a new fun thing to do - face painting! 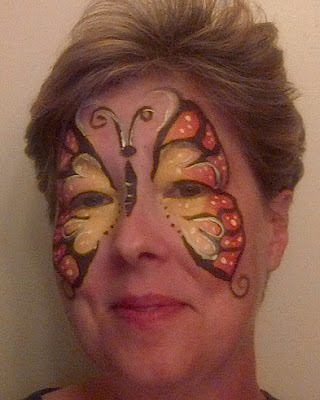 My youngest daughter went to a fun fair at one of out local elementary schools a few weeks ago, and came home with a beautiful butterfly painted on her face. I was so stunned when she walked through the door, the painting was gorgeous! 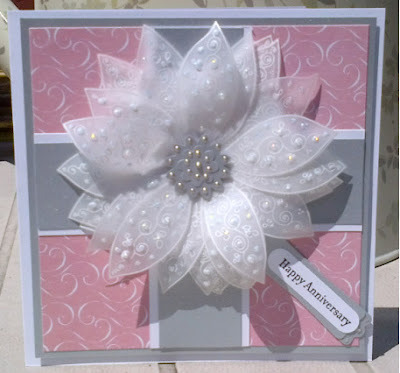 I immediately decided that I had to learn how to do it - so I did! I did a bit of research on face paint and ordered a beginner kit from a company called Diamondfx which sells quality non-toxic face paint and supplies. 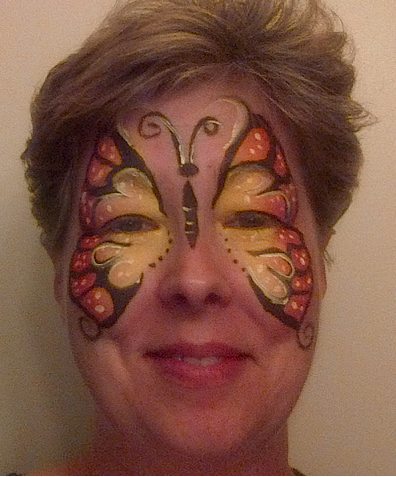 I checked out a few face painting videos on Youtube and voila, a face full of butterfly! I get together with a couple of friends every Wednesday (a.k.a. Humpday!) 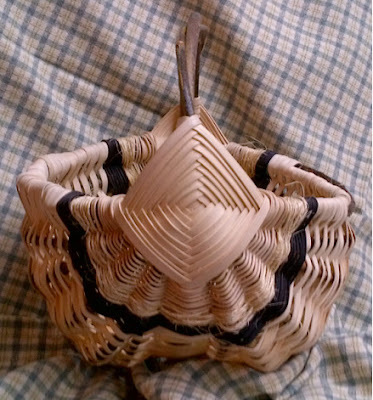 evening to basket weave. These natural ribbed melon baskets are the fruits of our labour so far. 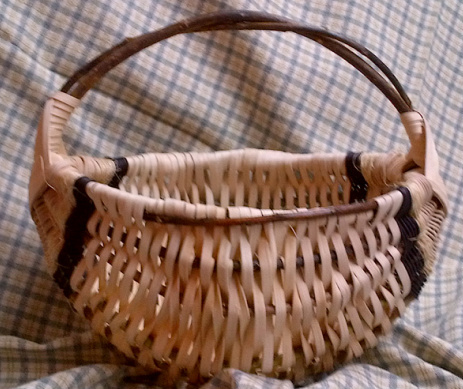 The basket rim, handle and ribs are made from Willow which I cut about two weeks ago. When weaving with natural Willow, it is important to let it dry and shrink before you weave with it. If you use it too soon, it will shrink and your weaving will come loose. Ask me how I found this out!! My friend, a kindred crafting spirit, added lovely beading to the rim of her basket. This is the first basket she has ever made and I have to say she certainly has got the hang of it! It's a gorgeous piece of weaving! I made the other basket shown along side the group to demonstrate the weaving technique. 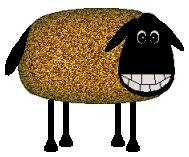 It's also made from Willow and I used #2 round reed, dyed black, as an accent. 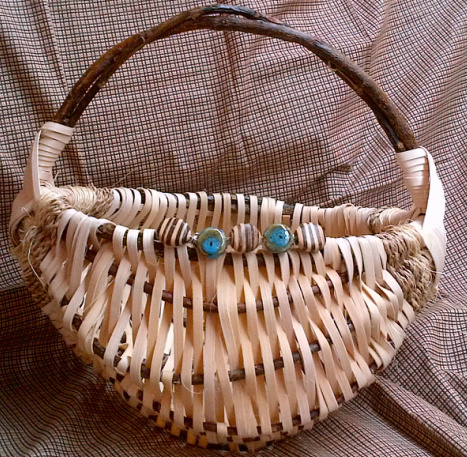 The one thing about this type of basketry that I really like is the 'God's Eye' that holds the rim and handle together. 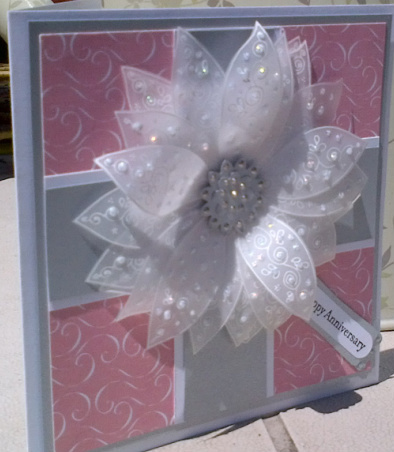 No nails, no glue needed! This type of basketry is hundreds of years old, and is still as pretty and useful as it was in the pioneer days!